Accurate information is readily available to all employees. Inform customers of problems & allow them to accept services. Follow the CAR process to build trust with customers. Check on all works in progress at your shop from any device. I love the fact I can add photos to quotes. Once customers see what's going on with their vehicles, service sells itself. Allow your technicians to access account history to establish a baseline for a stubborn problem. Set reminders for payments with fleet accounts. Never forget to collect, with email and app notifications. Track all accounts behind on their payments and know how much is owed, when the last payment was and call them... all from the click of a link. Integrate with Mailchimp to send engaging emails, connect your shop, advertise, and build your brand. You can include your API key and Customer List ID. 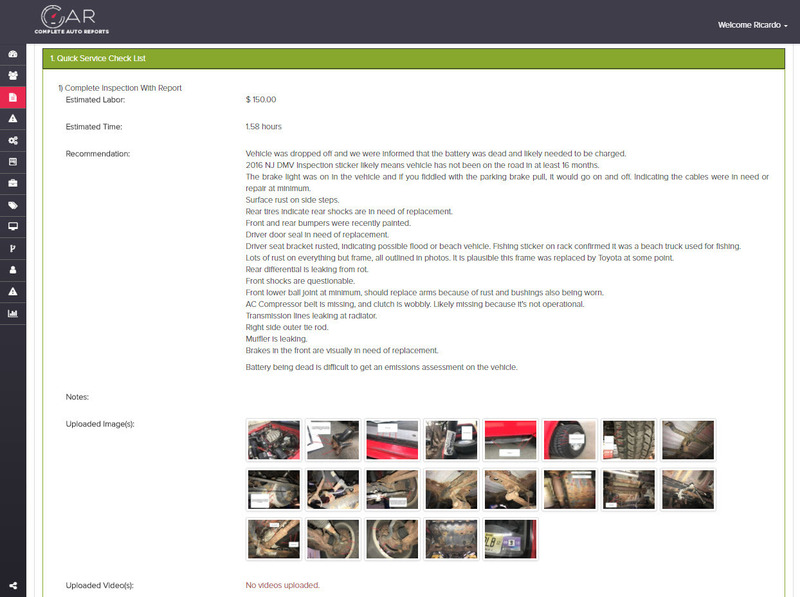 Owner's can easily search their shop's database for a specific customer or vehicle by inputting a variety of basic search parameters. CAR works by creating a profile for your customers and allowing you to store pertinent vehicle information in that profile to review and edit at later dates. Each and every feature available in our platform is designed to save your time, which inevitably will result in money saved and increased revenue.